The World Cup is over and Brazilians are depressed about their football team’s performance. But don’t let that stop you from seizing media opportunities in Brazil. I wrote about this in a recent post based on my experiences dealing with media in Brazil. I wanted to build on this, so I interviewed Mariela Castro, founder of Communications Advisors in Sao Paulo. I metMariela at a conference several years ago and was impressed with her knowledge of the market. She also has experience working in higher education both for institutions inside Brazil and abroad. Here’s some of her local perspective on the Brazilian media market. 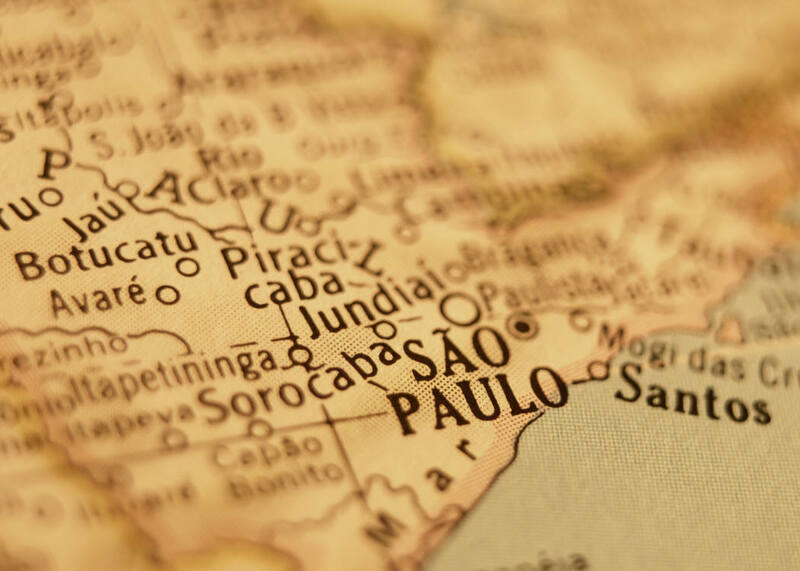 How are changes in the digital communications space impacting Brazilian media? At one point, print outlets were increasing. This trend is reversing as more and more people get their information online. Roughly 50 percent of the population is now online – in 2007 this number was just at 27 percent! 94 percent of internet users are on Facebook. Facebook is mainstream. Everyone uses Facebook; people love its fun aspect. If you as a higher education institution associate your content with something fun, you will have a good opportunity to reach your audiences through Facebook. We previously used Orkut, but that is dead now. Google Plus has a certain penetration, as does LinkedIn and Twitter. What’s been the perception of Science without Borders, the government initiative to address the skills gap in which 100,000 individuals are being sponsored to study abroad? What’s been the response in Brazil to this program? It has been a positive. Students apply and have the opportunity to receive scholarships and then can study abroad. As part of the program, the students studying abroad must return back to Brazil upon graduation for at least two years. The program focuses on the country’s development. What is the average mindset of a Brazilian student? Obviously it differs from person to person, but in general how do Brazilian students perceive opportunities to study abroad?Studying abroad is perceived positively and as a career advancer. But for the majority of the population, studying abroad is not realistic from a financial perspective. For many, just studying in Brazil is considered a great achievement. For the minority that can study abroad, they are well educated and informed, have a high economic status and are definitely a good target for higher education institutions. Usually studying abroad is more likely to take place at the graduate school level. It gives students the opportunity to save money while they are younger to better absorb the tuition costs at an institution outside of Brazil. Is the mindset for Brazilians graduating from schools abroad to stay in that country or return home? Better jobs and the economic growth here are increasing the number of Brazilians returning back to Brazil. This is particularly true for aspiring entrepreneurs. This wasn’t the case 10 years ago when many would graduate from a school outside of Brazil and then stay in that country. What are the most reputable higher education brands in Brazil? The US schools: Stanford, Harvard, MIT and Columbia. In Europe, people know Sorbonne in France and Insead, but not really many schools in other places like Germany or Spain. The US schools are looked upon more favorably. Brazilians are more comfortable with the American way of life. They are also more comfortable speaking English, thus another advantage for US schools. What is best practice for higher education PR professionals working with the media in Brazil? Particularly in terms of the language barrier – it is ok to correspond in English if you don’t speak Portuguese? There are lots of journalists who are comfortable writing in English, but not speaking in English. For some clients outside of Brazil, I need to pitch not only the right journalist by subject matter, but also a journalist comfortable doing in-person interviews in English. Most journalists understand that people outside Brazil don’t speak Portuguese. Education reporters are particularly comfortable with English. What has resonated the most with your higher education related pitches? Journalists here are interested in research and trends. They aren’t interested in the institution itself. They don’t care if your dean is going to Brazil and trying to attract Brazilian students. Where is the news in that? Research is a good door opener for higher education institutions. If the research is related to Brazil, then it is all the better. What can you talk about related to your institution that connects to Brazilian culture, economics and business? It is important for the PR professional to be in close contact with professors to be aware of when this pertinent research related to a country becomes available. They work well here. For example, consider if a dean is coming to Brazil. The deans want to go and meet with lots of journalists, but actually giving one exclusive to a journalist gives you quality over quantity. What is the value of using a PR agency in Brazil vs working on your own? Agencies can be valuable in understanding the local context. We know the expectations, language and understanding of what works in a particular country, be it in Brazil or elsewhere. It is also a matter of convenience for journalists in terms of being reachable (on the same time zone) and language. Experience more! Subscribe to our higher education communication tips of the week newsletter –actionable tactics sent to your inbox every Wednesday.